The Survivor Portrait Gallery, a collaboration between Mark Jason Photography, Komen Greater NYC and Emmy Award Winning Producer Todd Ehrlich, highlights and honors breast cancer survivors. This Survivor Portrait Gallery provides survivors & co-survivors the platform to share their inspirational personal stories with the world. Combining Mark's ability to capture their true essence with Todd’s expertise in video production & story telling, the Survivor Portrait Gallery has quickly become a vital resource for breast cancer survivors. Survivors and co-survivors are invited to submit an application and photo. Contact Mark for more details. Mark Jason has been involved with Komen Greater NYC since 2005, when a staff member asked his wife to join the Annual Awards Luncheon Committee. Lynn Redgrave spoke at the event, sharing her personal journey of living with breast cancer. Mark was so touched, moved and inspired he became more involved in the organization and has been a part of the Komen Greater NYC family every since. 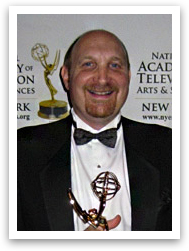 Todd Ehrlich won the prestigious Emmy Award as the producer of WCBS TV’s one-hour special, The Komen Race for the Cure. 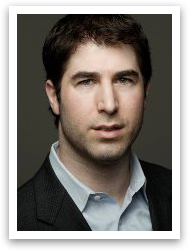 It was a high point in his involvement with Komen Greater NYC, which began in 2008. Using his talents and the resources of his production company T-LINE TV, Todd has continued his association by sharing his talents to produce the videos which coincide with the survivors gallery. In 2011, Todd produced a feature for the WCBS-TV special, Komen Race for the Cure, that featured Mark Jason and his Survivor Portrait Gallery. Todd was so impressed with the concept and the power of his project and the altruism displayed by Mark that he asked to be involved. Todd felt that the Survivor Portrait Gallery could have another dimension if Mark’s photographs and the stories of the survivors were brought to life through video. These courageous survivors are photographed in an environment of their choosing; a place they feel captures their true essence. The goal of the videos is to capture their passion for life and enhance the power of their message. Their stories will serve as an inspiration for all who view them.